ROA recently appeared before the Arlington National Cemetery to discuss the Congressionally directed report on extending the life expectancy of the cemetery. One of the results of the meeting was that ROA provided comments and edits to the National Dialogue Survey recently launched by the Advisory Committee on Arlington National Cemetery. Prove a combination of the above options. “From October 2016 through July 30, 2017, DoD conducted a multi-level review of 17,485 cases. 17,092 of those cases -- the overwhelming majority -- were resolved in favor of the Soldier, either by waiving an existing debt or by not establishing a debt. The remaining 393 cases were entered into the Department's robust appeals process, which was designed to maximize each Soldier's opportunities for relief. As of July 31, the appeals process is complete in 202 of those 393 cases. In 2 of the 202 completed cases, a grant of full relief was provided to the affected Soldiers. In 200 of the completed cases, the Soldiers were notified of their right to appear before an appellate Special Board of Review, but they did not respond within the 10-day period allowed. Accordingly, the finding of the DoD review -- that the available evidence did not support a grant of full relief -- is final. Those 200 cases have now been referred to the National Guard Bureau and the California National Guard for review and action as appropriate. Finally, as of July 31, 191 of the 393 Soldiers whose cases were entered into the appeals process have not yet exhausted their appellate opportunities. With ROA’s organizational revitalization now solidified, the association’s executive director, Jeff Phillips, a retired USAR major general, has established a weekly battledrill of meetings with members of the House and Senate and key staff, as well as senior military officials. These meetings reinforce the work done daily by Legislative and Military Policy Director Susan Lukas and her team, and our grassroots activists in the departments and chapters. Rep. Mike Coffman (CO-6th), with Ryan Clark (legislative assistant). Rep. Coffman is interested in the military’s pilot shortage and the RC’s potential to help fill the gap. Rep. Steve Russell (OK-5th) with Cody Hoefer (military policy specialist). Rep. Russell is interested in third party accreditation for military training. Rep. Tulsi Gabbard (HI-2nd), represented by Craig Shimizu (military policy specialist). Rep. Tom Rooney (FL-17th), represented by Ethan Abner (legislative assistant). Rep. Rooney is interested in VA reform by making the Secretary of Veterans Affairs a directly presidentially appointed position like the FBI Director. Rep. Hal Rogers (KY-5th), represented by Jake Johnsen (legislative assistant). Rep. Rogers is interested in veterans federal hiring preference reform. Rep. John Shimkus (IL-19th), with Chase Clanahan (legislative assistant). Rep. Ralph Abraham (LA-5th), with Patrick Barron (legislative assistant). Sen. Johnny Isakson (GA), represented by Douglas Hill (defense legislative fellow), Tommy Nguyen (defense policy advisor), and Kevin Petroccione (legislative correspondent). Sen. Isakson is interested in building up the Senate Reserve Component Caucus. Sen. Richard Blumenthal (CT), represented by Katherine Bradbury (legislative assistant for military affairs) and Sarah Eyman (legislative assistant for veterans affairs). In addition, he has visited with the new Reserve Chiefs of the Navy, Marine Corps, Air Force, Coast Guard and is scheduling visits with Chief of the Army Reserve Lt. Gen. Charles Luckey (with whom he has chatted informally), and senior leaders in the Public Health Service and NOAA. Two items always discussed with Hill audiences: Ensuring pre- and post-mobilization health care is included with 12304b mobilization, and support for ROA’s initiative to facilitate members of the RC earning veteran status for federal hiring preference, changing the requirement from 180 or more “consecutive” days on active duty to 180 or more “cumulative” days on active duty. 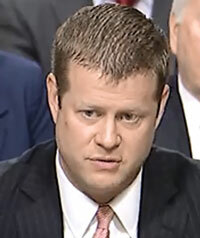 Former Army Ranger Ryan McCarthy was confirmed as the Army’s Undersecretary, the second highest civilian position in the Army. Besides serving as an Army Ranger in Afghanistan, McCarthy served as the Special Assistant to Sec. of Defense Robert Gates and as a special assistant to the Undersecretary of Defense on Acquisitions, Technology, and Logistics. In his most recent role, he worked for Lockheed Martin in various Vice-President roles regarding the F-35 program and global security policy. Since there is currently no Army Secretary confirmed (or even nominated), McCarthy will be the acting Army Secretary overseeing the Department of the Army. He will retain those duties until the Senate confirms an Army Secretary, which may not occur until late this year or early next year. 10 Army Reservists sued the Department of Homeland Security and Department of Defense for delaying their citizenship applications. Under a Pentagon program called the Military Accessions Vital to the National Interest program, or MAVNI, immigrants can join the military and gain fast track status to citizenship if they possess critically needed language or cultural skills. The Reservists are suing because they are currently in the military, but their promised fast-track citizenship application has been delayed, causing financial uncertainty and even some facing the threat of deportation as their visas expire. 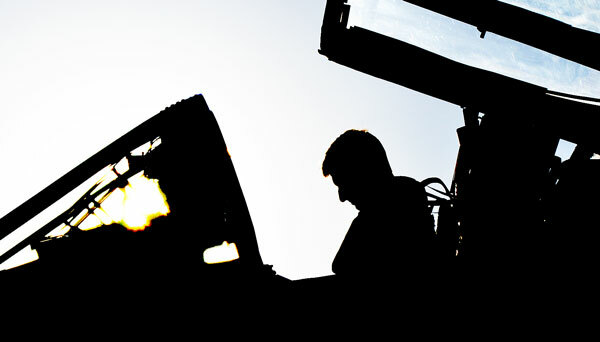 DoD has considered replacing the MAVNI program entirely out of concerns they do not have the proper vetting process to thoroughly screen potential recruits. Currently, there are 10,000 recruits through the MAVNI, mainly in the Army. The citizenship delays are primarily affecting Reservists since the DoD’s increased scrutiny is partially tied to whether the soldier is on active duty. Several stories have surfaced of the Sig’s P320, the Army’s new handgun, misfiring when accidentally dropped. One involved a Connecticut policeman suing Sig Sauer for $6 million because he was injured when his holstered P320 was accidentally dropped and fired hitting him in the left leg. Back in January, Sig Sauer was granted a 10-year contract with the Army after winning their Modular Handgun System contest. 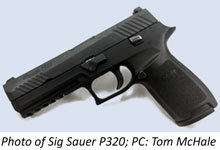 Sig has tried to get ahead of these accidental misfiring incidents, announcing a voluntary upgrade for the P320. In addition, some of have noted the model of the Sig Sauer-the XM17- that the Army plans on using has a frame mounted safety, which could potentially stop accidental drop discharges. However, this has not been fully tested and there is lingering concern about the Army’s P320 version even if it is not part of the recall. The Army Chief of Public Affairs periodically provides insights and messaging for public consumption; Reserve Voice sends these along as items of interest. New National Museum of the U.S. Army asks for vets to share their stories. The Naval Air Force Reserve has grounded 23 C-130T transport aircraft until further notice. The choice was made to ground the aircraft amid ongoing investigation into the deadly KC-130T crash in Mississippi that killed sixteen servicemembers last month. The Navy aircraft are similar to the Marine Corps Reserve’s fleets, which were also grounded Thursday. The Navy’s fleet of aircraft includes the C-130T, also known as “Fat Albert”, that is part of the Navy’s Blue Angels precision air team, which will not be part of air shows until further notices. Richard Spencer was sworn in as the 76th Secretary of the Navy and Marine Corps. The event took place in the office of the Secretary of the Navy, with a Navy administrative assistant performing the ceremony. Spencer graduated from Rollins College with an economics degree, and afterwards got commissioned in the Marine Corps. He flew H-46 helicopters for five years. Spencer then worked on Wall Street for 16 years, doing investment banking. He now manages a small consulting firm in Wyoming. When questioned about how to bring the Navy to 355 ships from its current 276, Spencer said that bringing things out of the ready reserve might be an important component. To increase capacity, manning will be required, so numbers will have to be adjusted going forward for end strength. Marines from units across the Marine Corps Reserve participated in Innovative Readiness Training in Alaska from April 3- August 8. Training was conducted in a small Alaskan village, home to a runway extension project under the jurisdiction of the Department of Defense’s Innovative Readiness Training program. 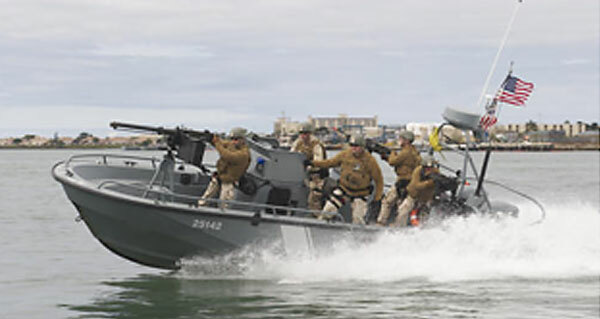 Marine Air Group 41 was the project lead over Marine wing support squadrons, Army engineer battalions, Naval Mobile Construction Battalions, and the Arizona, Montana, and Guam National Guards. The concept of the project was to extend the community’s runway from 2,700 to 4,700 feet to help facilitate economic development. The Coast Guard celebrated 227 years of service on August 4, 2017. In August of 1790, President George Washington signed an act authorizing the construction of ten vessels to enforce federal tariff and trade laws to prevent smuggling. An Act of Congress in 1915 combined the services of the revenue cutters with the U.S. Life-Saving Service, which then became known as the United States Coast Guard. The Coast Guard picked up the additional duty of maintaining aids to maritime navigation, including lighthouses, in 1939 by order of President Roosevelt. The Coast Guard is one of the oldest organizations of the federal government, and until Congress established the Navy department in 1798, was the nation’s only armed force on water. 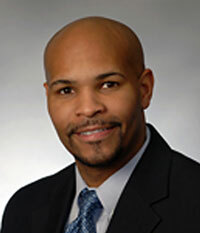 The Senate confirmed Dr. Jerome Adams as the 20th Surgeon General on August 3. Dr. Adams has pledged to put science ahead of politics, and told Senators that science has to be applied in a sympathetic and empathetic way. Adams said that one of his priorities as Surgeon General would be addressing the opioid addiction crisis. ARMY & AIR FORCE EXCHANGE SERVICE - On November 11, 2017 all honorably discharged veterans will be eligible to shop their military exchange online for tax-free shopping with military exchange pricing. Visit shopmyexchange.com for information and log onto VetVerify.org now to verify your eligibility to access this new lifelong online military exchange benefit. Congress approved construction of a war memorial honoring the veterans of the Global War on Terror (GWOT). The GWOT began back in 2001 shortly after the 9/11 attacks on the Twin Towers and the Pentagon. It has continued ever since with ongoing operations in Iraq, Afghanistan and across the Greater Middle East. Generally, Congress must wait 10 years after a war has concluded before they consider a memorial built commemorating the conflict. However, given the open-ended nature of the GWOT and the likelihood that an official end to the war will not occur until years from now, Congress passed H.R. 873, Global War on Terrorism Memorial Act. The bill does not set aside any federal funds for the construction of the project. Rather, it authorizes the Global War on Terror Memorial Foundation to construct a memorial. The Foundation, in consultation with the National Capital Memorial Advisory Commission, will find a place on the National Mall for the memorial.